Mirror Organza is a sheer but crisp fabric. This beautiful yet easy to use fabric is both versatile and very easy to cut, sew, wash, and iron. It has a classic look with a mirror-like sheen! Suitable for a variety of uses including garments and decorative purposes. 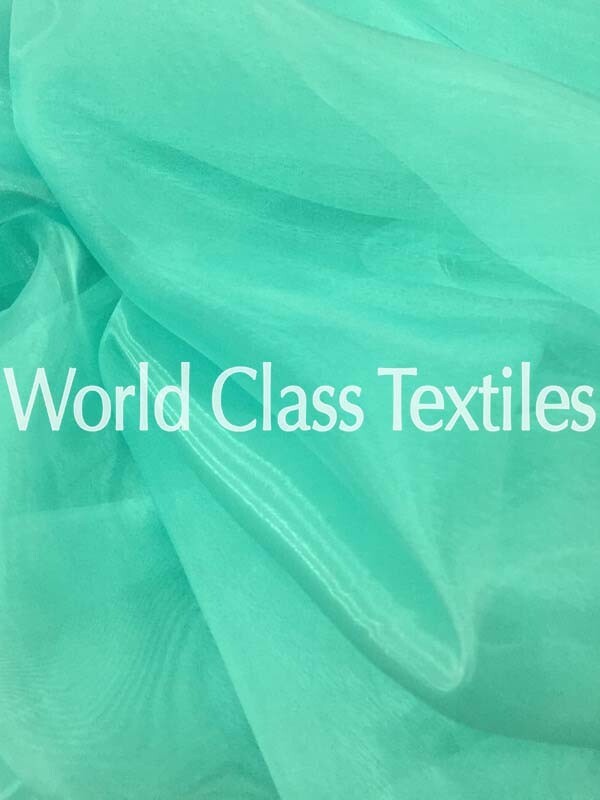 World Class Textiles carries a large selection of colors in Mirror Organza. Most of our colors coordinate perfectly with our Polyester Poplin, Taffeta, and Satin Fabrics making it simple for your design needs!